Another landmark for Ekya Schools. 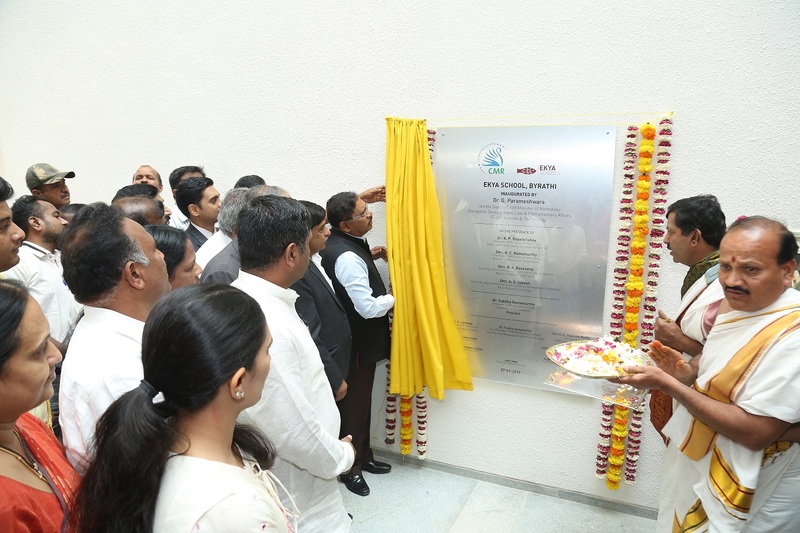 It was indeed a proud moment for Ekya Schools when their latest international campus in North Bangalore, at Byrathi, Off Hennur- Bagalur road was inaugurated on Januray 27, 2019. The campus was inaugurated by Dr. G. Parameshwara, Hon’ble Deputy Chief Minister of Karnataka, Bangalore Development, Law & Parliamentary Affairs, IT, BT, Science and Technology. 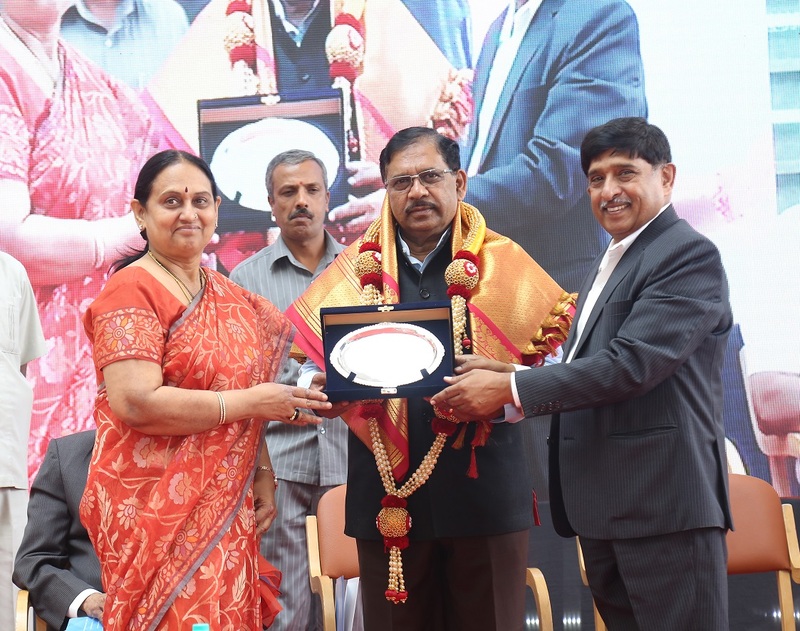 Dr. K. P. Gopalkrishna, Chairman, NPS Group of Institutions, NAFL and The International School Bangalore; Shri. K. C. Ramamurthy, Chairman, CMR Group of Institutions, Member of Parliament, Rajya Sabha; Shri. B. 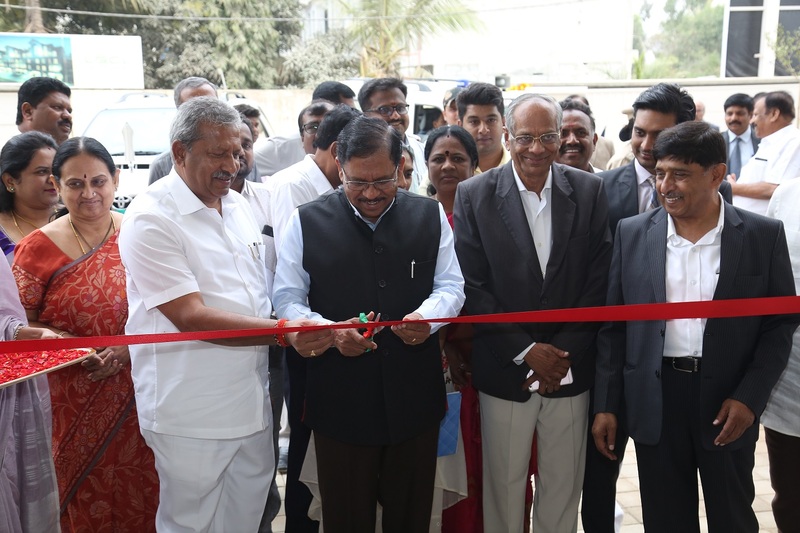 A. Basavaraj, Chairman, Karnataka Soaps & Detergents Ltd., Bangalore, MLA, K.R Puram Constituency; and Dr. Sabitha Ramamurthy, President, CMR Jnanadhara Trust, Chancellor, CMR University were also present to grace the ceremony. 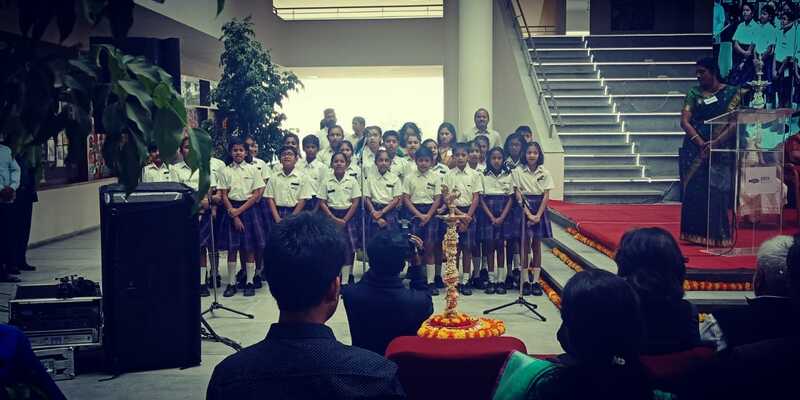 The momentous day commenced with a beautifully rendered invocation song – Saraswati vandana by the the students of Ekya School ITPL and the lighting of the lamp. Our Founder and Managing Director, Dr. Tristha Ramamurthy warmly welcomed the gathering to this special occasion and elaborated on the special features of Ekya School, Byrathi. The program proceeded with felicitations and speeches by special invitees. Dr. G. Parameshwara, Hon’ble Deputy Chief Minister of Karnataka, Bangalore Development, Law & Parliamentary Affairs, IT, BT, Science and Technology, in his engrossing speech spoke about how Bangalore has now become an educational hub, providing quality education for all age groups. He also spoke about the “Gurukul” system of education that was followed in ancient India and how it focused on teaching one how to lead one’s life along with providing knowledge and inculcating self discipline in students. Dr. Parameshwara also attributed the increase in India’s literacy rate of 78% to the rise in the number of good institutions across the country that impart quality education. His advice to parents was to ensure that they not only provide their children with education but also encourage them to be socially committed. The programme ended with the audience joining the students of the Ekya ITPL choir in singing the National Anthem. The guests then took a tour around the campus to explore its various facets for themselves. Ekya School, Byrathi was launched with the idea of bringing an international learning experience to North Bangalore. Ekya Schools is known for integrating the best of educational practices from across the globe into a well-rounded curriculum that empowers students to be outstanding, self-reliant, future leaders. This new campus offers the unique Ekya curriculum in addition to the renowned Cambridge IGCSE board curriculum. The aim is to provide enriching, immersive, and engaging learning experiences to enable students to become lifelong learners. Conceptualized by the national award-winning architect, Mr. Sanjay Mohe and his team at Mindspace Architects, the 2 lakh sq. ft. Ekya campus is spread across five floors and is well equipped with laboratories for Science, Social Science, and Computer Science. All the classrooms are well-ventilated and naturally lit with panoramic windows. Additional features include a library that is spread across 2500 sq.ft., a half Olympic-sized secluded swimming pool and mini-pool with changing rooms housed in the basement, a 400-seater auditorium for multipurpose use, a 125-seater amphitheatre and two large 60-seater AV rooms.